In this tutorial, you will be guided on how to add users to the Orion Mobile App. In this instance, we are going to add a Coach and set the proper permissions. You can follow the same steps to provide athletes, range officers, and stat. officers the proper permissions — the only difference is which check-box to click. Note: an active internet connection is required for this to work. Create a new match, or open an existing match. 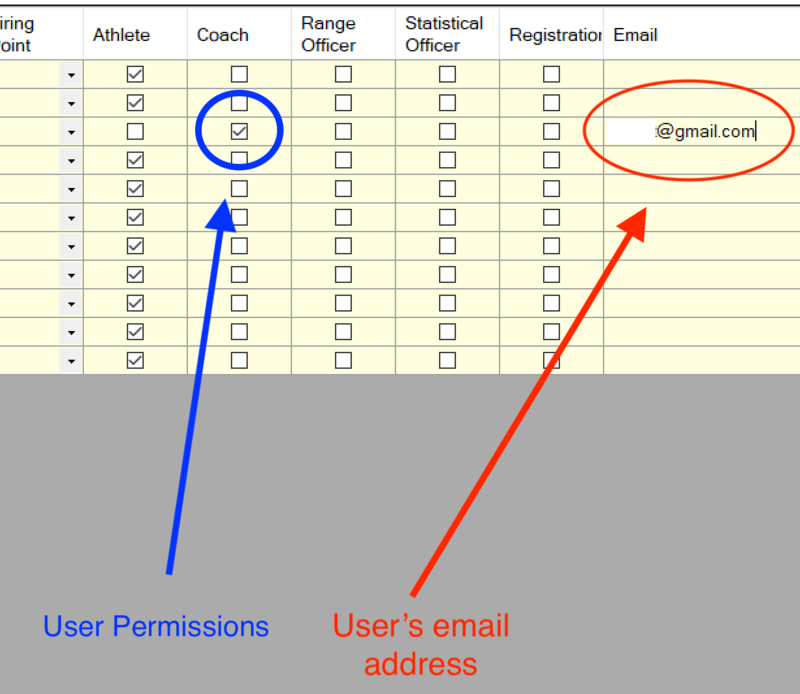 Make sure “Upload scores and allow public access to scores” or “Upload scores and only allow athletes to view scores”(*) are selected from the drop-down. Enter that’s user’s email address - this must be the same email address the athlete used when registering for the Orion Mobile account. Scroll to the right and select “Coach” check-box. * When “Upload scores and only allow athletes to view scores” is enabled, this will allow only logged-in athletes to view their scores, yet keep the data from being viewed anyone else.